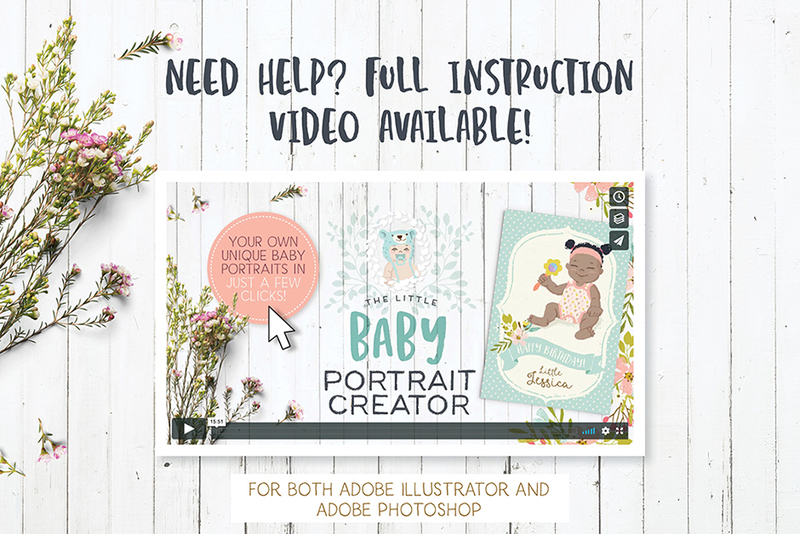 Create adorable custom baby portraits in seconds! Just a quick note upfront, you need either Adobe Photoshop CS3-CC or Adobe Illustrator CS3-CC to use this kit. Please see the side bar for more detail. 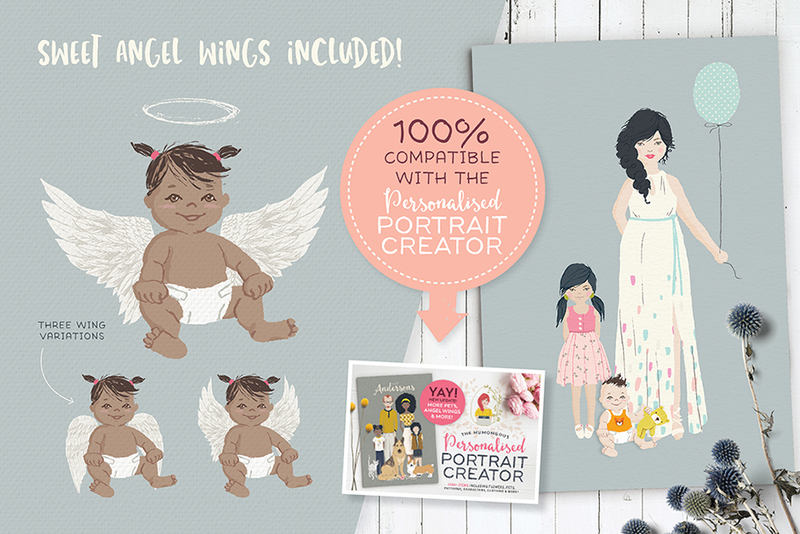 Introducing the irresistible Little Baby Portrait Creator! 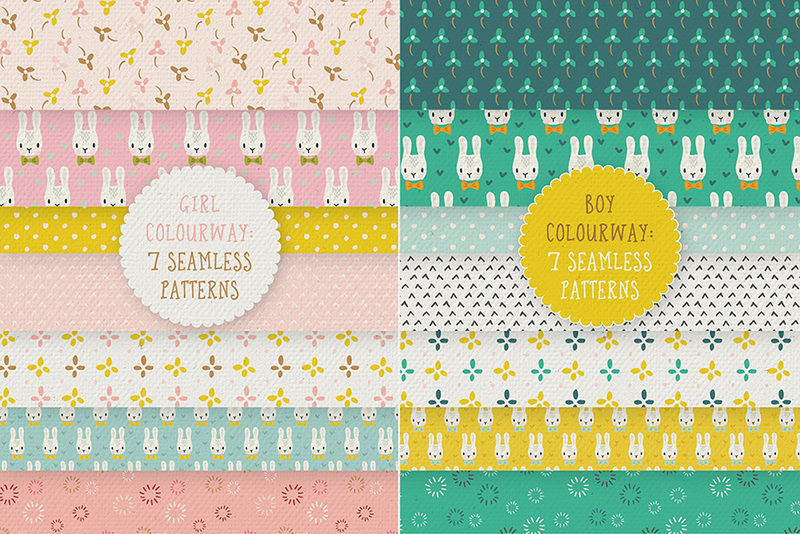 With just a few clicks, you can build your own darling little tot to adorn your next baby project. 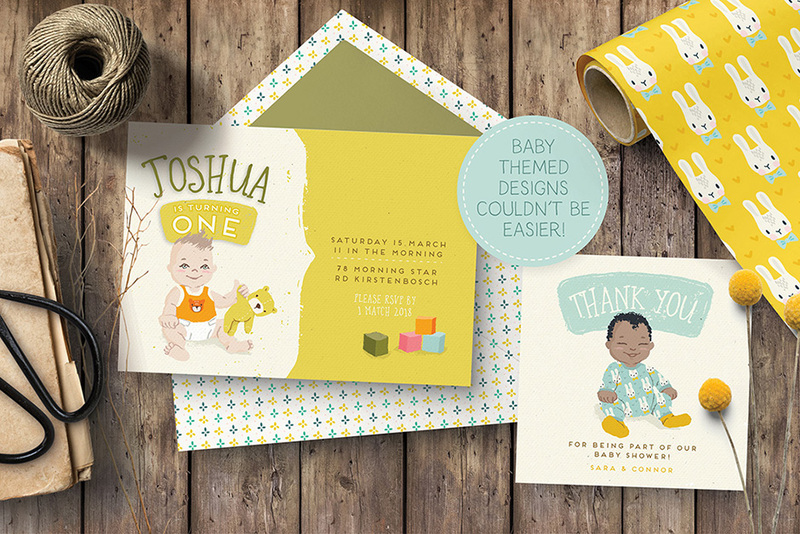 Designing birth announcements, birthday invites, birth stats posters, nursery art and more couldn't be easier! A lovely gift for mom to be! 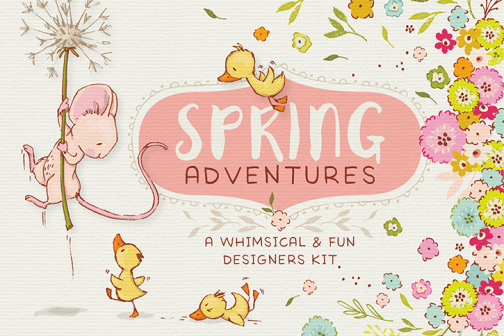 And with all the bonus flowers, patterns, frames and banners, you'll be designing adorable creations in no time at all. Be sure to keep scrolling down to view all the lovely goodies included! 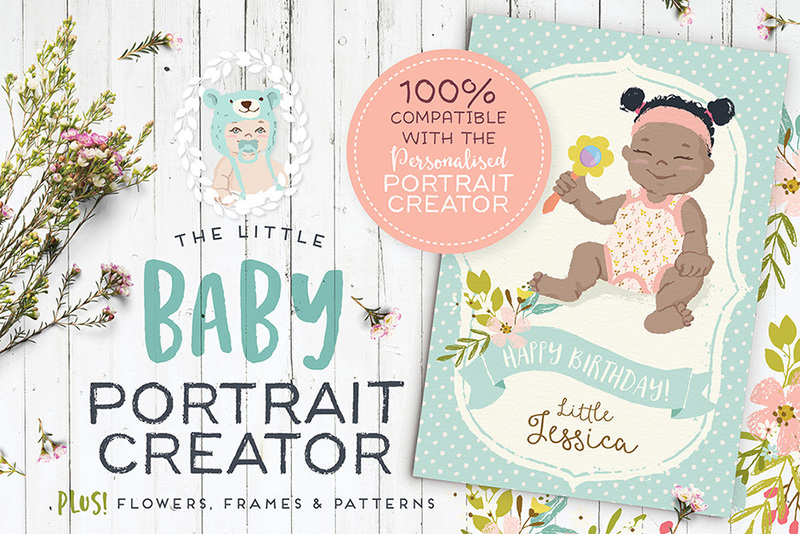 Plus this kit is 100% compatible with the original Personalised Portrait Creator, making little baby a perfect addition to your family portraits. 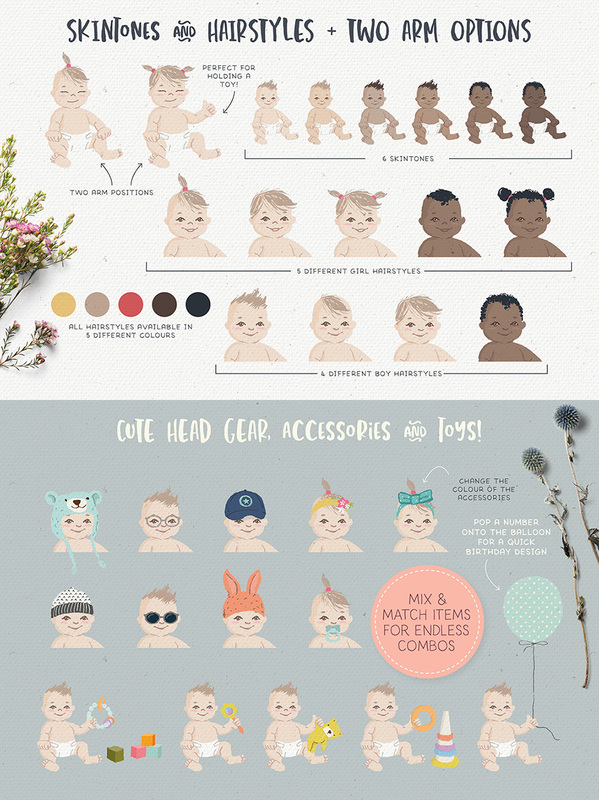 - This Baby Portrait Creator is perfect for you if you are looking for a super easy way to create a hand drawn character with whimsical features and outfits that will be a general likeness to the baby. 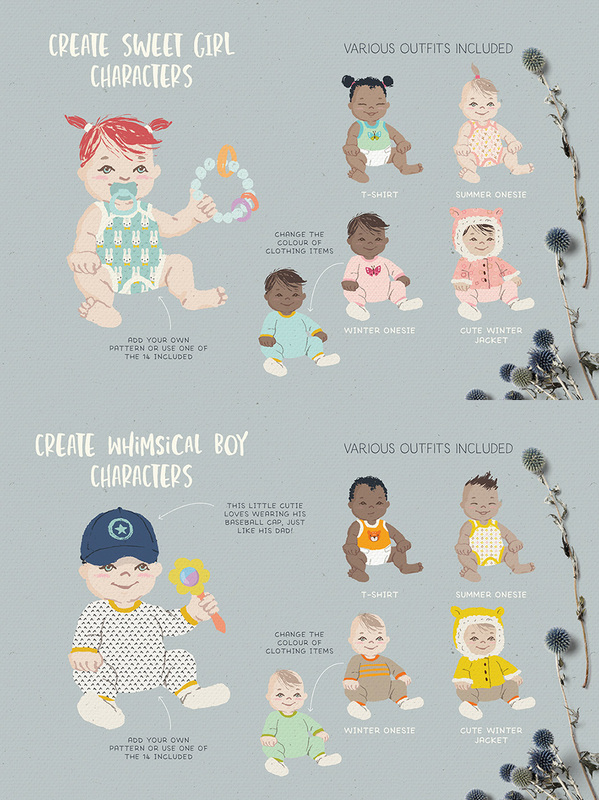 Hair colour, skin tone, hair style and accessories will contribute to creating the likeness of the baby you want to portray. This kit is not for you if you are looking for an exact replica of the baby you want to portray, and would like "real-life" features and functions. 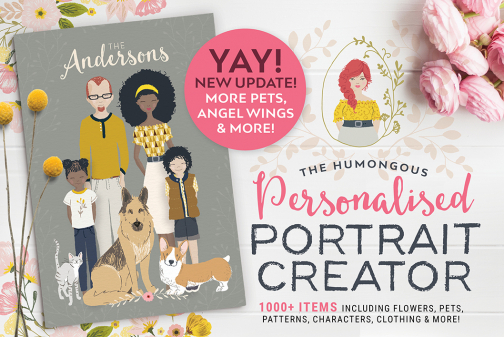 - This is not an app or plug-in, but rather a graphics set with meticulously pre-made documents helping you create adorable custom characters in minutes. The documents need to be opened in either required software mentioned above for customisation. 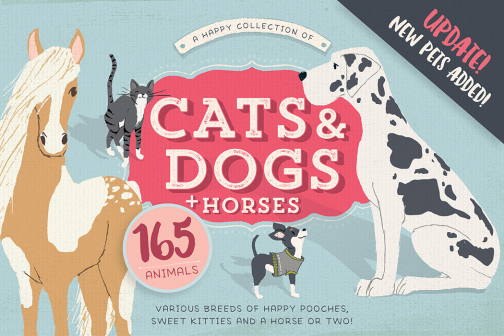 - The Adobe Illustrator version will always be the recommended version for full flexibility and customisation. Thank you so much Lisa! I’m so thrilled that you like the set. I really appreciate your business and support 🙂 Happy creating! Love it! Your work make so many people happy! Yay! So happy to hear that Karin. I hope they work out well for your flyer 🙂 Happy creating! 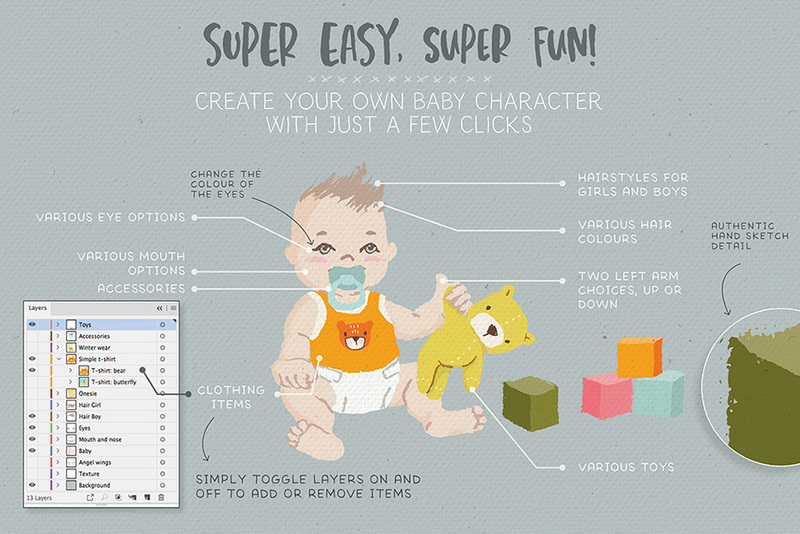 Create adorable baby characters in seconds! Various head gear, accessories and toys! This Baby Portrait Creator is available for both Adobe Photoshop (PSD) and Adobe Illustrator (AI). Due to the use of layers and their organisation, unfortunately I can't guarantee that it will work in any other software other than the Adobe software mentioned above.